With an introduction like that, it’s hard not to have impossibly high expectations. 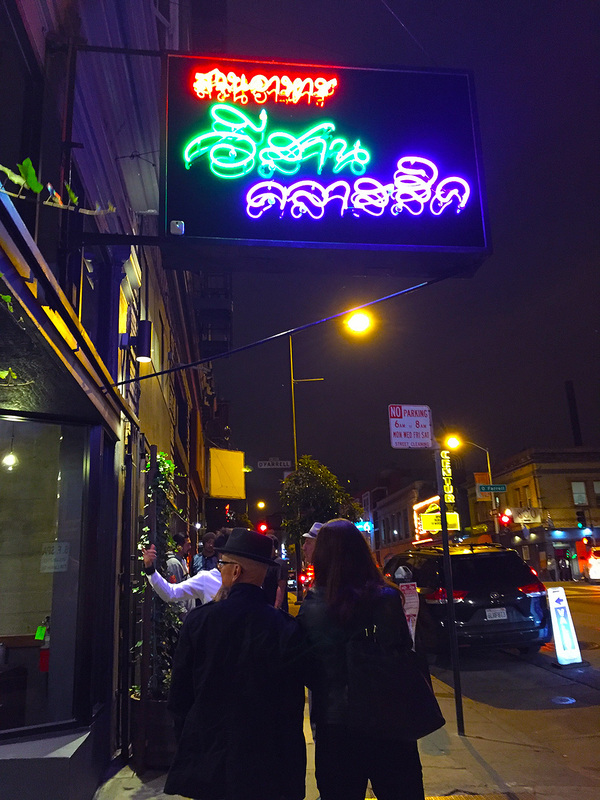 Several courses in, one diner in our group declared that the Tom Yum Pla Kao, a hot and sour soup with black cod, was the best soup he had ever eaten in his life. Judging by that comment, our expectations were mostly met. 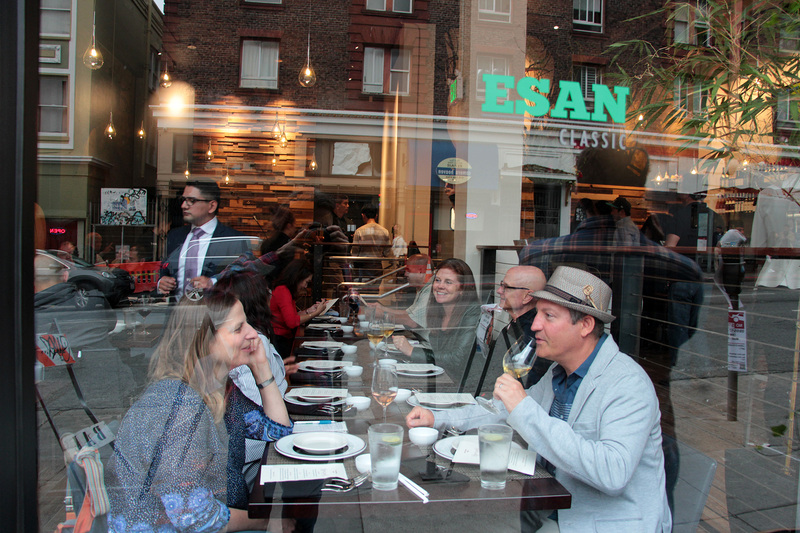 Esan Classic is the fourth restaurant opened by owner Tom Silargorn, who owns the three popular Lers Ros Thai restaurants, with the original one being right across the street. Silargorn comes from the Esan province, (also spelled Isan or Isaan) which is in the northeast of Thailand. 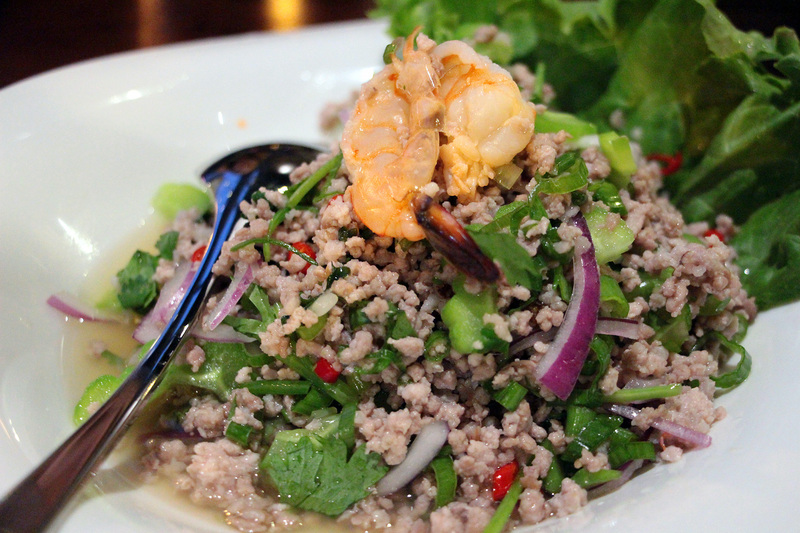 Given that it borders both Laos and Cambodia, there is significant overlap in both culture and food; for instance, while larb (a salad made from ground meat) is considered the national dish of Laos, it is also equally popular in Esan. 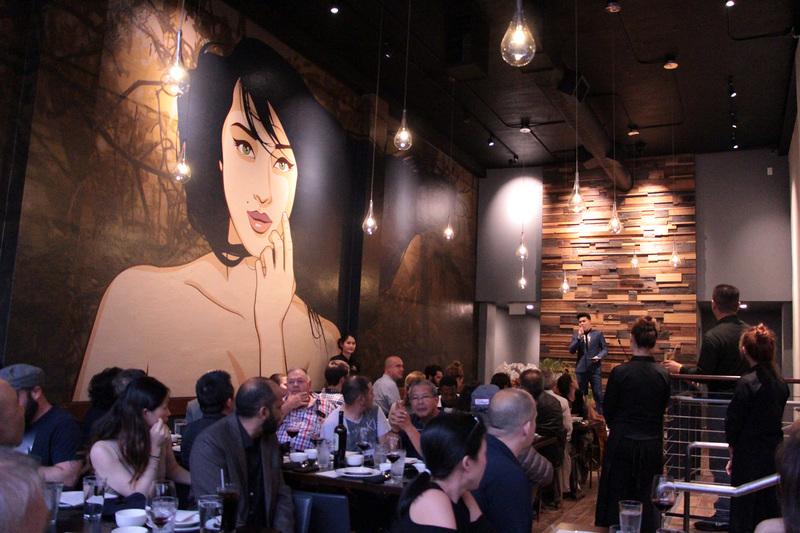 This media dinner was the first this reporter had ever been to where a host introduced each course with a microphone from a stage. Although Goody Kay has lived here for years, he is somewhat of an influencer in Thailand, he told us privately, and was wearing sparkling silver shoes with spikes. 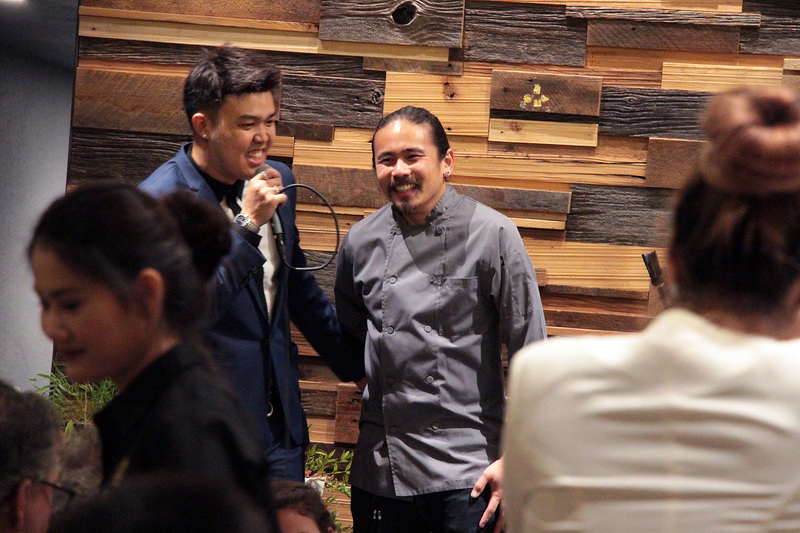 Guests were treated to eleven courses, handpicked by Silargorn and Chef Chanon Hutasingh as their favorite dishes, and most representative of Esan cuisine. 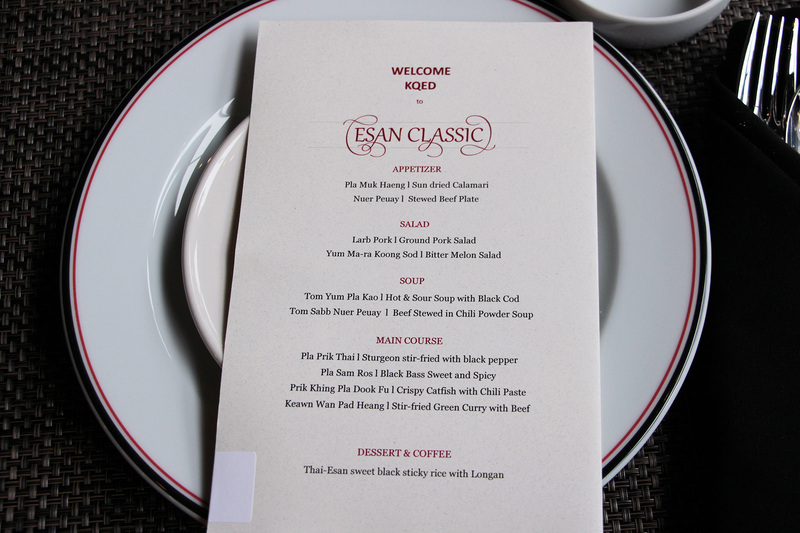 (Hutasingh is the chef that will oversee the kitchen at Esan Classic). 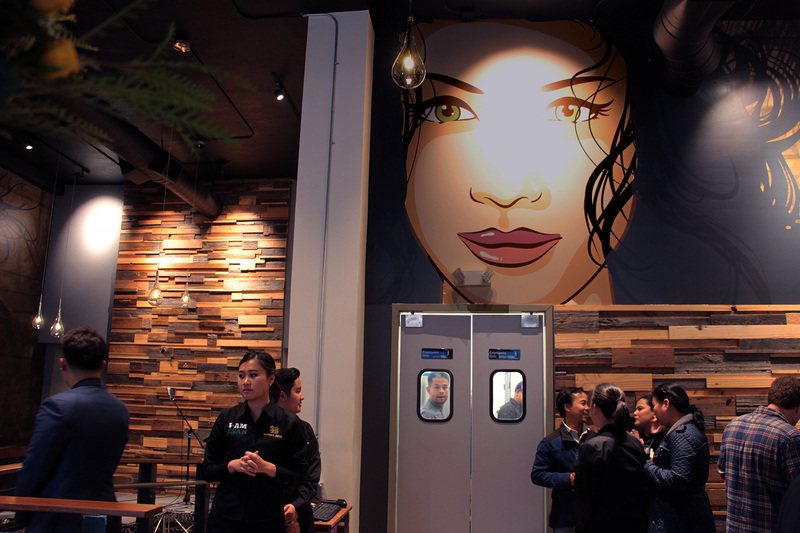 It probably goes without saying that there was no pad thai or peanut sauce in sight. 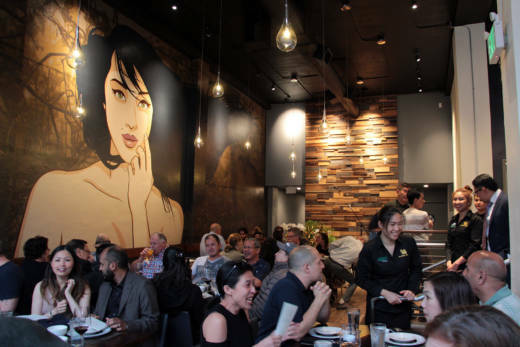 It must have been a difficult choice, given the menu is oversized and runs 11 pages long and has over 120 dishes on offer. For the more adventurous eater, frogs legs and pork intestines and chicken hearts and gizzards are all on the menu. 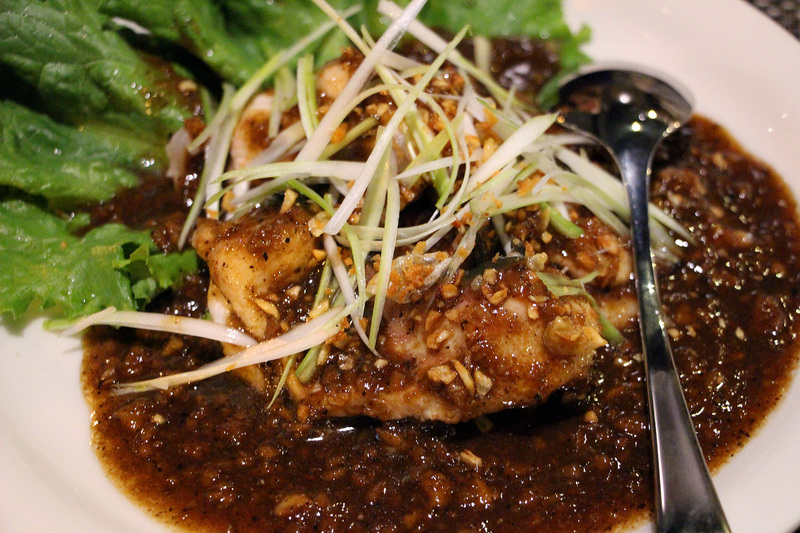 But we still experienced numerous flavors that were new to us; with the heat coming from both fresh and fried chilies, building up slowly throughout the meal. 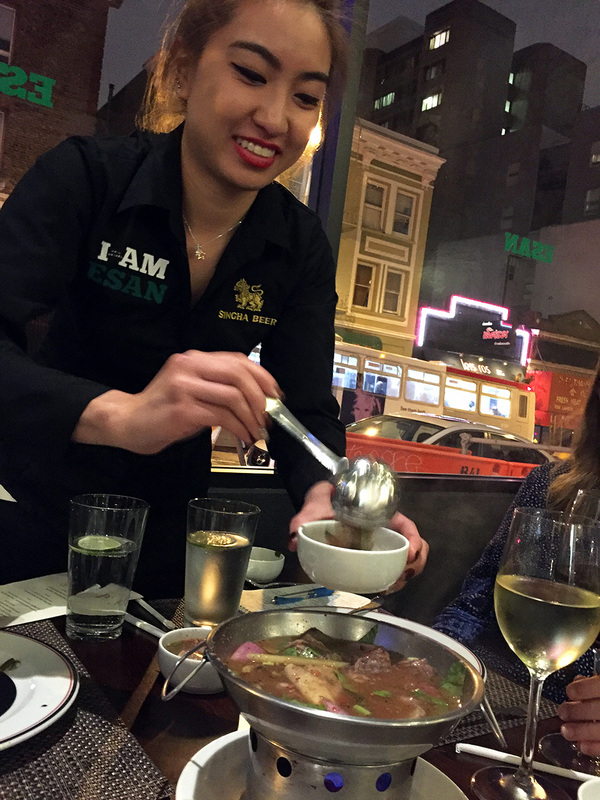 For instance, the above-mentioned tom yum soup had fresh chilies while the course that followed was a beef and chili powder soup. There were some misses. 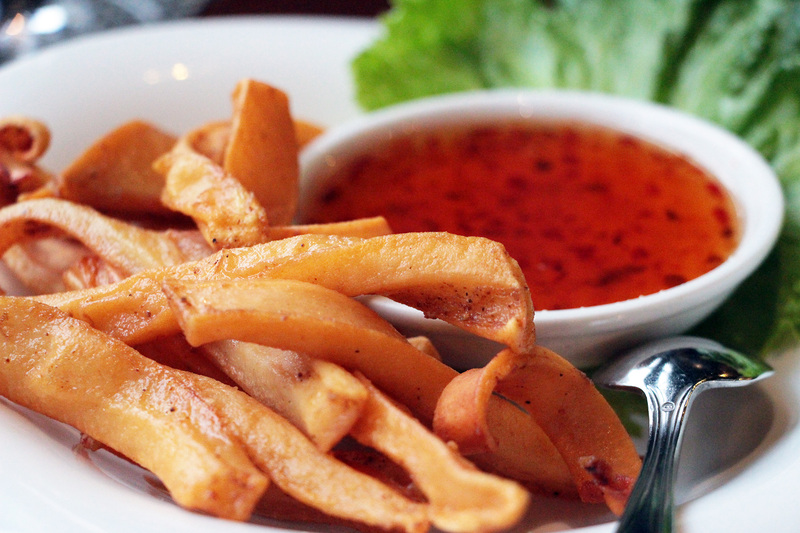 An appetizer of sun-dried calamari had guests wondering whether the squid – which looked almost like French fries – was best honored by this method. 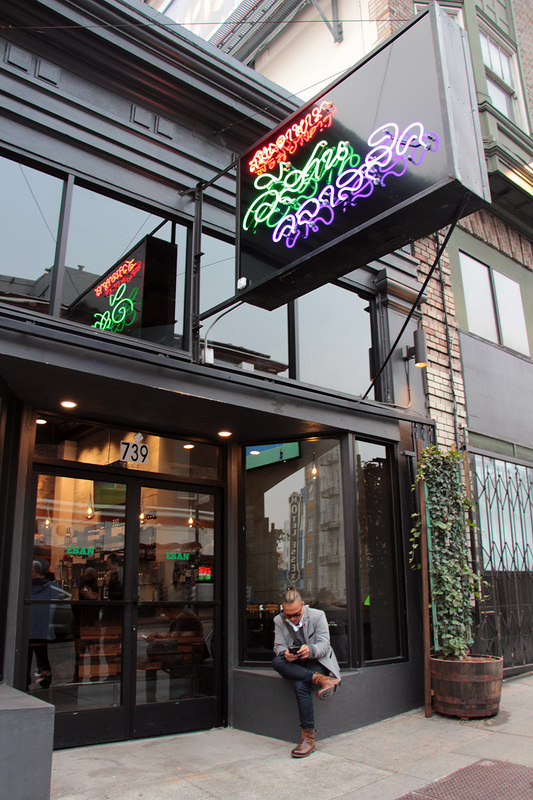 While it was certainly a new way to eat it, diners seemed more puzzled than wowed. 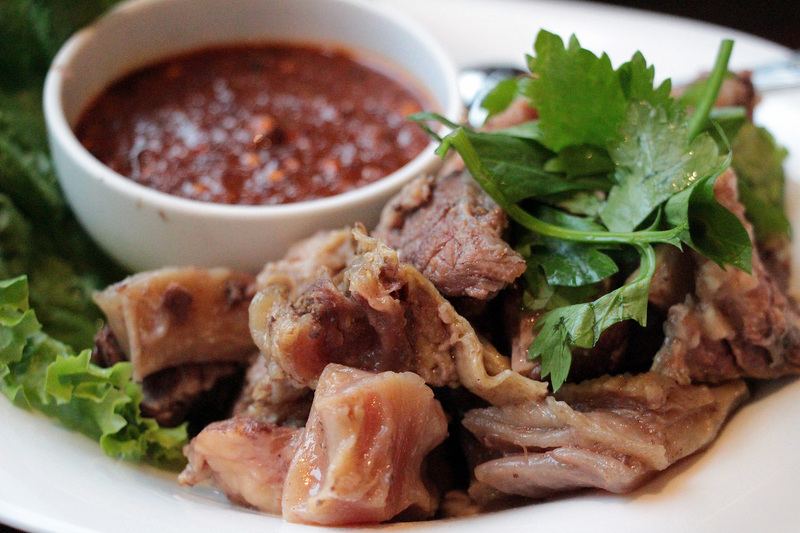 A stewed beef plate made with tendon had a divine chili paste, but despite the long cooking time at very low heat, in some cases, there was much more fat than meat; large chunks were left on the plate. 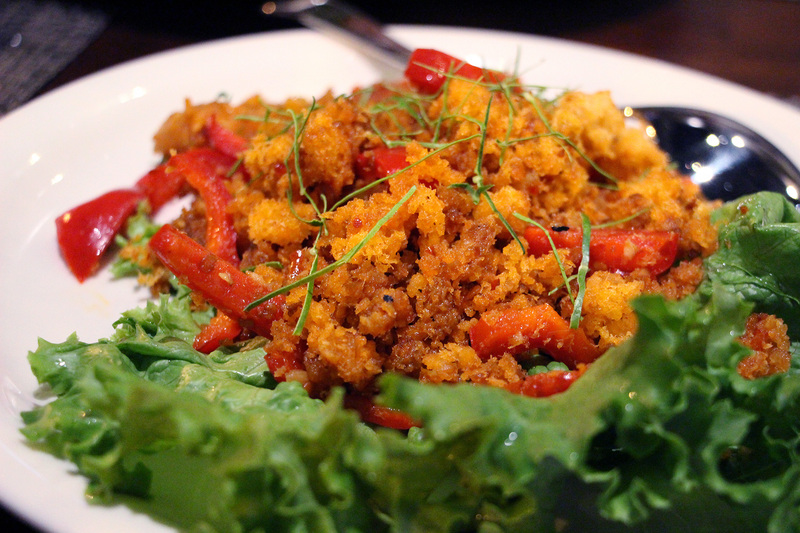 Despite Kay calling their larb “the best in the industry,” strings of fried pork fat were a bit too chewy to fully enjoy. But other dishes were sublime. A dish called bitter melon salad, which had shrimp, scant pieces of bitter melon, and ground pork as the dominant ingredient (and also seemed rather larb-like) was a symphony of flavors, perfectly accentuated by chili and lime. “In Thailand, we believe that the more bitter something is, the better it is for you,” Kay instructed. 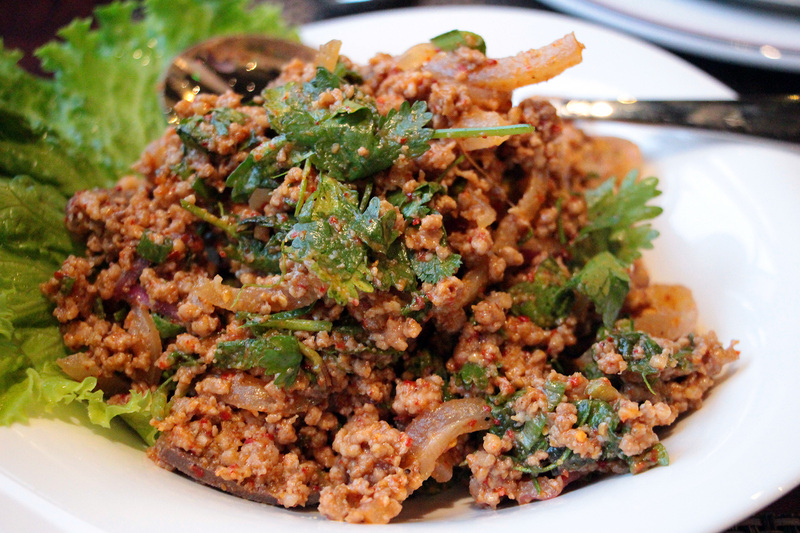 It was that version of larb that we could have seen being called the best in the industry. 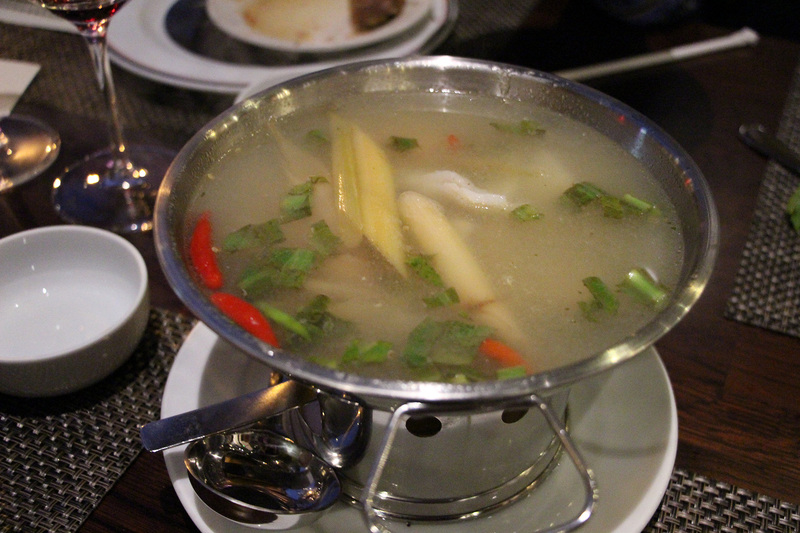 The fish and beef soups were both so delicious and unusual, it was impossible to discern which we liked better. Mouth on fire, be damned, I kept going back for more. 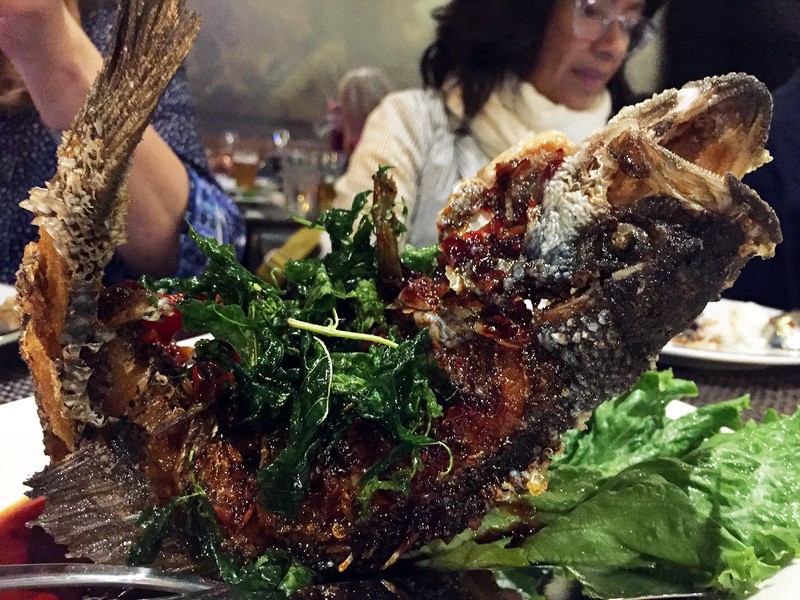 A sweet and spicy black bass came to the table fried into a shallow U, as if it were posing, head and tail perfectly aloft. 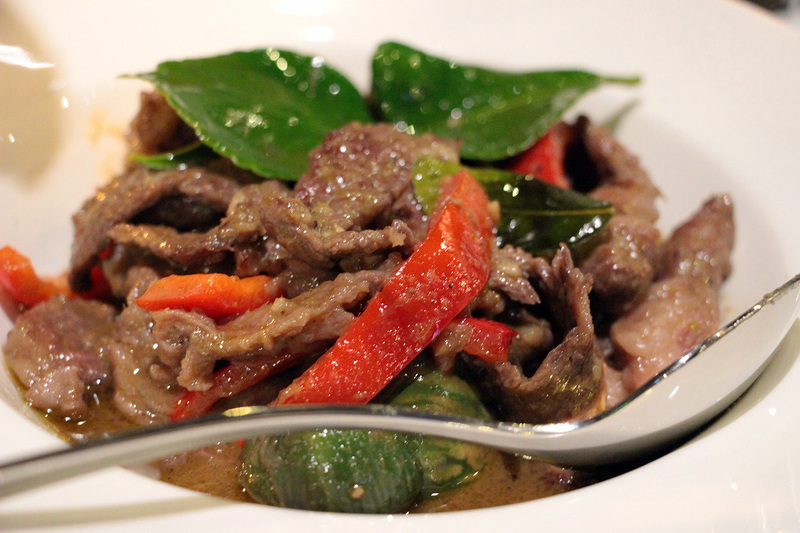 A stir-fried green curry with beef was delicate and fragrant, a much more refined version than what we’re used to (which isn’t bad to begin with). We thought we’d leave most of the dessert untouched, a sweet black sticky rice with coconut milk and Longan, a cousin of the lychee, but that was not to happen; the unctuous rice with just the right amount of sweetness had us going back for more. Lucky San Francisco. With cooking like that, all we wanted to do was eat. 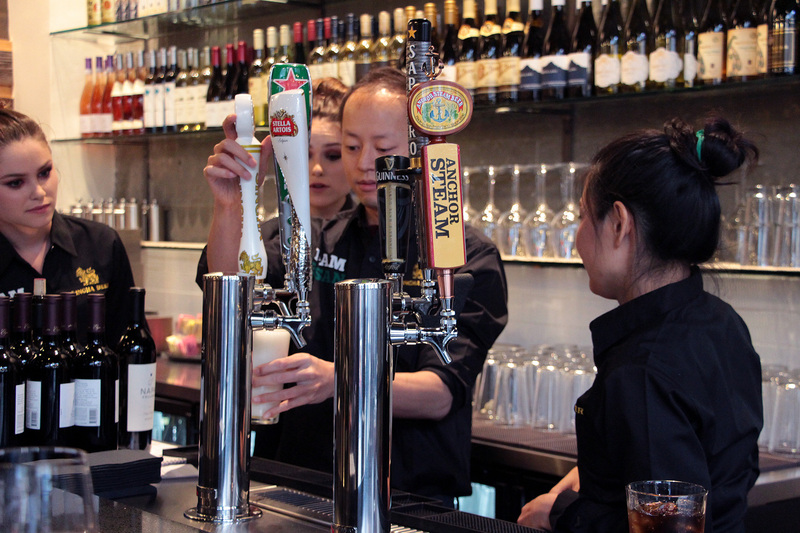 Hours: Open Sun-Thu, 11am-12am and Fri-Sat, 11am-2am.